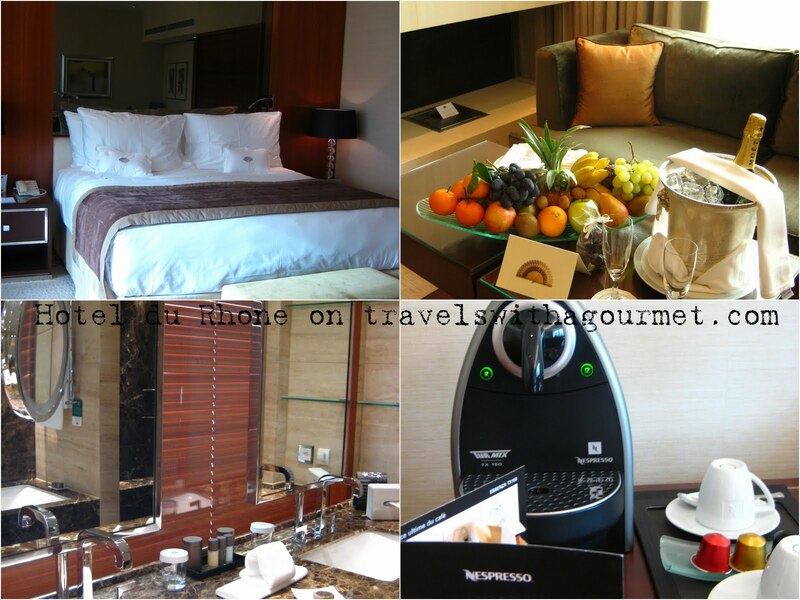 We moved to our second hotel for the weekend – the newly-renovated Hotel du Rhone. Reopened in 2008 and under the management of the Mandarin Oriental, this old Geneva favorite has transformed itself from a classic grande dame to a modern, bustling hotel with two new restaurants (Le Sud by Paul Bocuse and the modern Rasoi from London-based one-star Michelin chef, Rasoi Vineet Bhatia) and with a much-needed facelift for the local’s favorite, Le Bar. 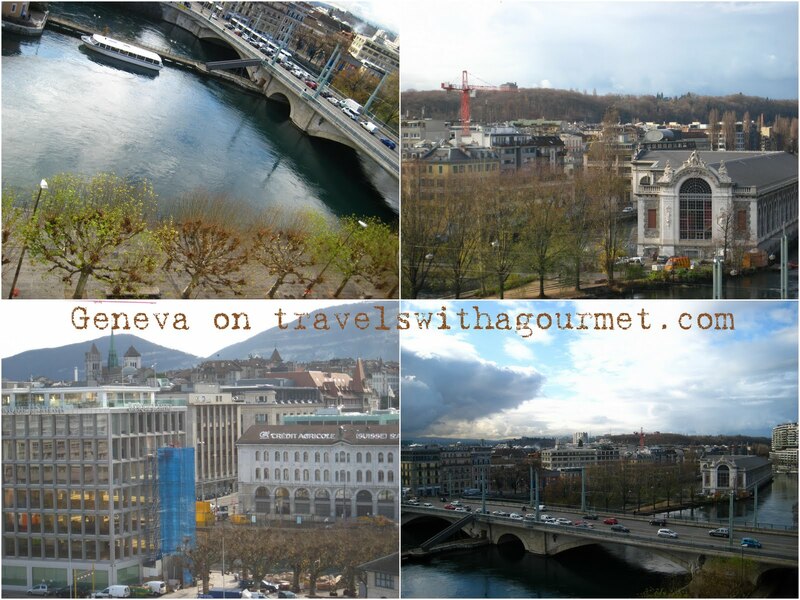 Our penthouse suite had a lovely terrace overlooking the river and much of Geneva’s old town. The room was modern (control panels for lighting, air-conditioning and room temprature, sensor lighting in the walk-in closet, television in the bathroom, Nespresso machine, desk kitted out for all plugs) yet luxurious at the same time (heated floors in the all-marble bathroom, cozy seating area by the fireplace, bookmarks left slipped into your book, turn-down amenities were Molton Brown creams). Our welcome fruit platter and champagne were a very pleasant surprise and something to look forward to at the end of the day. We didn’t have time to enjoy our amenities as we had another lunch date we needed to rush off to (which is what my next post is all about).